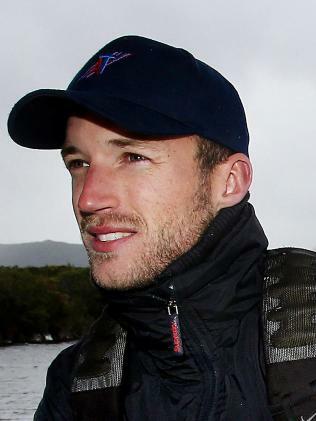 The family of a photographer killed when a plane crashed during the Sydney to Hobart Yacht Race is suing the airline. Pilot Sam Langford, 29, and respected Hobart photographer Tim Jones, 61, perished when their Cessna 172 crashed into Storm Bay, south of Hobart, as they captured the iconic race in December 2014. Mr. Jones’s family has launched court action against the plane’s operator, Airlines of Tasmania, under the Fatal Accidents Act. The Act allows family members to recover damages relating to a death caused by a “wrongful act, neglect or default”. A directions hearing, closed to the public, was held in the Supreme Court yesterday. A report by the Australian Transport and Safety Bureau was released last year. It found the plane entered a spin after a steep climbing turn, for which the pilot had not been trained, stalling the aircraft. It then nosedived into the sea east of Cape Raoul on the Tasman Peninsula and sank 90m to the ocean floor. Before the crash, it had just finished a photo run of yacht Mistraal at a height of about 15m. This was about 45m lower than the airline was allowed to fly. 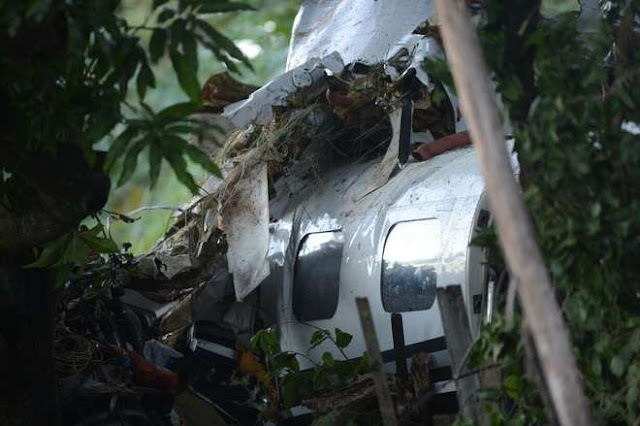 The report stated a Cessna 172 would need to be flying at a height of least 120m to recover from a spin. However, the report said the aircraft flying at a height lower than permitted “was not likely to have contributed to the accident” in itself. While Airlines of Tasmania had been given a dispensation to fly to 45m above obstacles, the safety board found the operator had consistently flown down to 15m for aerial photographs. 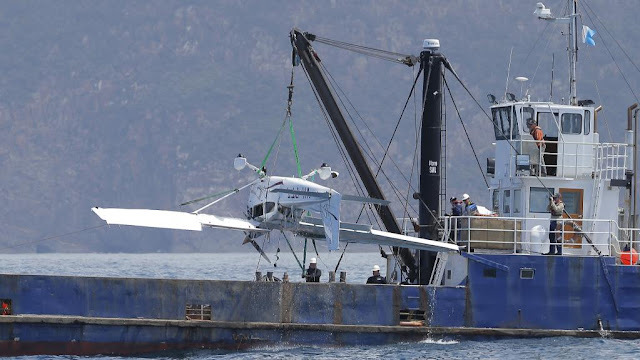 The board considered this a risk factor along with the airline’s safety management processes which were insufficient to identify the risks of low-level flying during the Sydney-Hobart race. At the time, the airline said the report had found that the crash “was not caused by any fault with the aircraft or our operational procedures”. However, it had stopped low-level photography flights and “extensively changed” its safety management system following the crash. What happened: At 1748 Australian Eastern Daylight-saving Time on 29 December 2014, a Cessna 172S aircraft, registered VH‑PFT, departed Cambridge Airport, Tasmania to photograph yachts participating in the 2014 Sydney Hobart race as they made their way around the southern coast of the Tasman Peninsula. On board the aircraft were the pilot and a photographer. What the ATSB found: As a result of the steep climbing turn, the aircraft’s upper wing aerodynamically stalled, resulting in a rapid rotation out of the turn. The steep pitch attitude indicated that, because of the stalled upper wing, the aircraft entered a spin. There was insufficient height for the pilot to recover the aircraft. The steep climbing manoeuvre was not in accordance with the pilot’s training for low-level flight. Cessna identified that any C172 type aircraft that enters a stall/spin condition will require significant height to recover. The Civil Aviation Safety Authority had issued the operator with a dispensation that permitted low-level flight down to 150 ft above obstacles. Low-level photographic operations on yachts conducted by the operator had been consistently flown at heights down to 50 ft. Although the aircraft was being operated at a height lower than that authorized by the dispensation, that in itself was not likely to have contributed to the accident. What's been done as a result: The operator advised that it has ceased low-level photography flights. 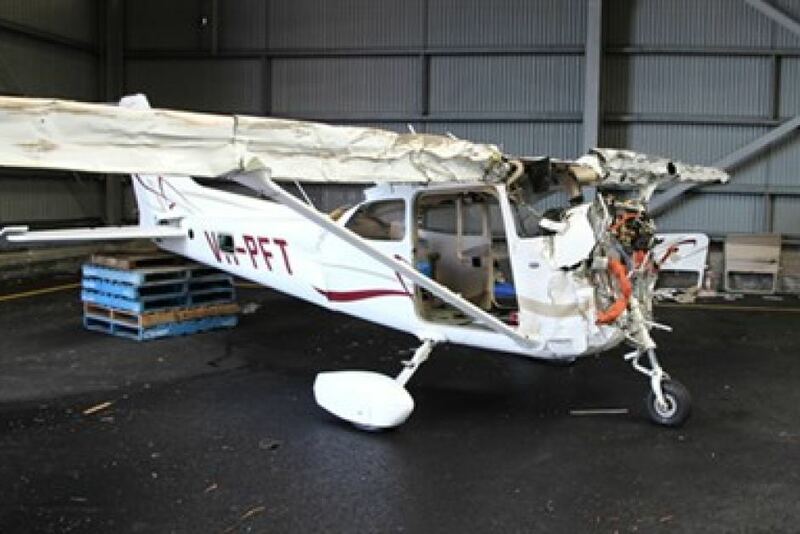 On December 29, 2014, at 1747 local, a Cessna 172S, VH-PFT, collided with water near Port Arthur, Australia during an aerial photography flight. The airplane was operating under the pertinent civil regulations of the government of Australia. The airplane was substantially damaged and the pilot and passenger were fatally injured. The investigation is under the jurisdiction of the Government of Australia. This report is for information purposes only and contains only information released by the Government of Australia. The flight instructor of the multiengine airplane reported that, during a simulated single-engine landing, while the pilot receiving instruction was flying, the airplane veered to the left. He added that he took control of the airplane “immediately” and added right rudder to correct, but the airplane exited the runway, and the nose landing gear collapsed. 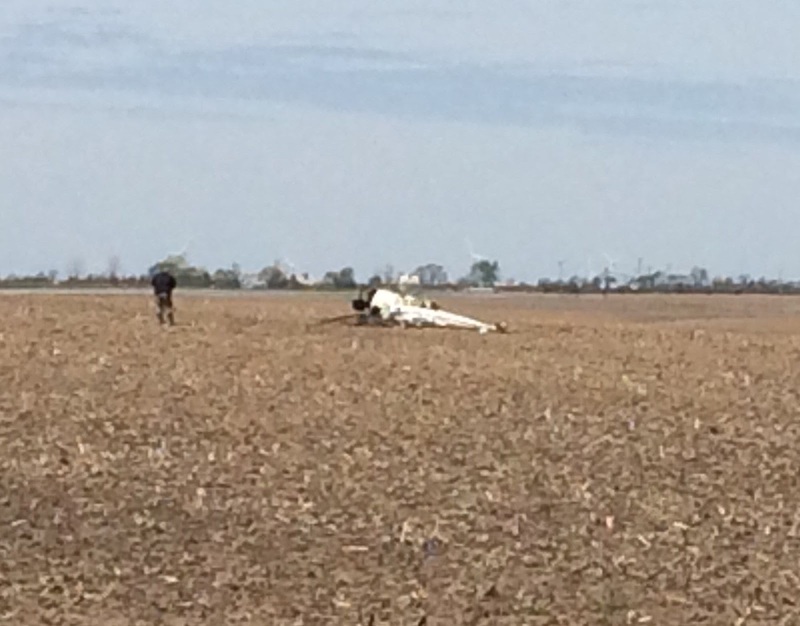 The airplane sustained substantial damage to the nose landing gear structure. A review of recorded data from the automated weather observation station at the accident airport reported that, about the time of the accident, the wind was from 180° at 14 knots, gusting to 21 knots. The airplane landed on runway 19R. The pilot receiving instruction’s failure to maintain directional control during landing in gusting wind conditions. 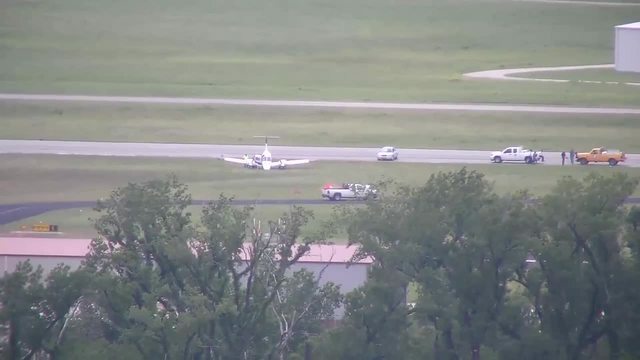 The flight instructor of the multi-engine airplane reported that, during a simulated single-engine landing, while the pilot-receiving-instruction was flying, during touchdown the airplane veered to the left. He added that he took control of the airplane "immediately" and added right rudder to correct, but the airplane exited the runway and the nose landing gear collapsed. 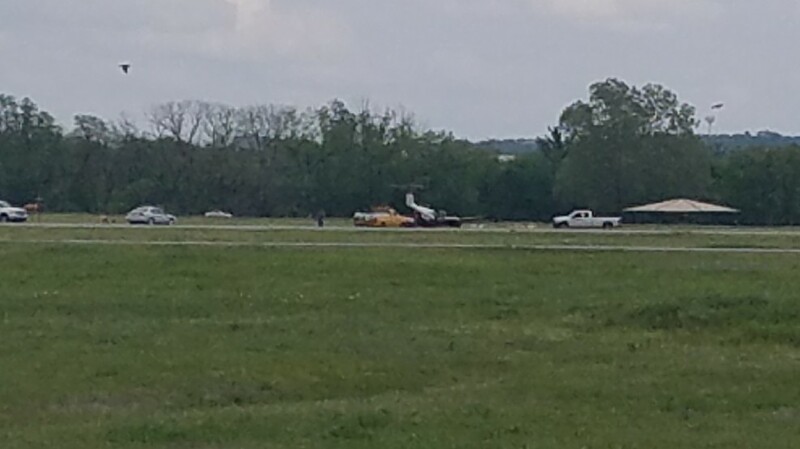 TULSA -- Authorities are investigating what caused a plane slide off the runway at the Jones Riverside Airport Wednesday afternoon. According to officials, two people were inside the plane when the incident took place. The Spartan School of Aeronautics plane went off the runway during landing. The plane has since been removed and all runways are back open. During a personal local flight, the private pilot and passenger, who held a student pilot certificate, were searching a lake for a submerged boat. The passenger stated that while maneuvering at a low altitude, the pilot banked the airplane about 45 to 60 degrees at an airspeed of about 50 miles per hour. During the turn, the airplane stalled, entered a spin, and impacted the water. A postaccident examination of the airframe and engine did not reveal any evidence of a mechanical malfunction or failure that would have precluded normal operation. Data from a GPS unit recovered from the airplane indicated that the airplane was about 250 ft above ground level at a ground speed of about 34 knots when it stalled. Based on the passenger's statements and the GPS data, it is likely that the pilot failed to maintain adequate airspeed and exceeded the airplane's critical angle-of-attack while maneuvering, which resulted in an aerodynamic stall/spin from which he had insufficient altitude to recover. The pilot's failure to maintain adequate airspeed and his exceedance of the airplane's critical angle-of-attack during a steep turn at a low altitude, which resulted in an aerodynamic stall/spin at too low of an altitude to recover. 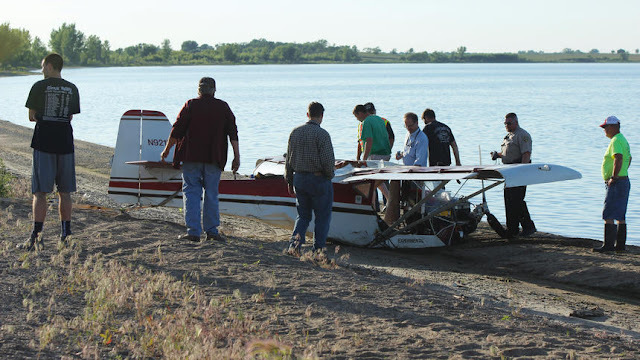 On June 7, 2016, about 1020 central daylight time, an amateur-built Kitfox IV single-engine airplane, N921RP, impacted a lake following a loss of control while maneuvering at a low altitude near De Smet, South Dakota. The private pilot sustained fatal injuries, the passenger sustained serious injuries, and the airplane sustained substantial damage. The airplane was registered to and operated by the pilot as a 14 Code of Federal Regulations Part 91 personal flight. Visual meteorological conditions prevailed at the time of the accident, and a flight plan was not filed. The local flight departed from Lake Preston Municipal Airport (Y34), Lake Preston, South Dakota, about 0929. According to the passenger, who held a student pilot certificate and was interviewed by a Federal Aviation Administration (FAA) inspector, the pilot picked him up at Y34 to assist in a search for a boat that sank in Lake Thompson on June 3, 2016. The pilot and passenger spotted the boat and then flew a right "racetrack" pattern about 150 ft above ground level. While maneuvering, the airplane was banked about 45 to 60 degrees at an airspeed of about 50 miles per hour. During one of the turns, the airplane "snapped over" and the pilot told the passenger that the airplane stalled. 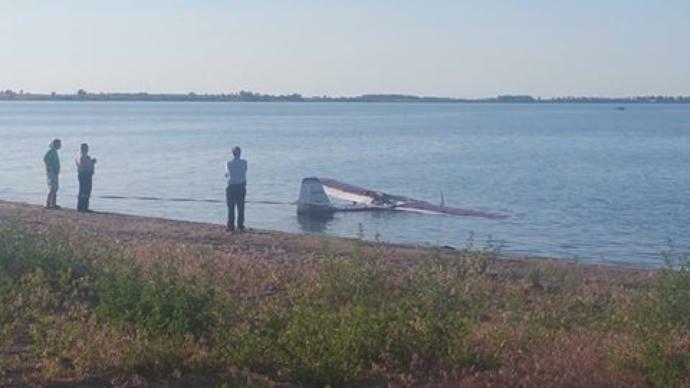 The airplane spun about 1.5 to 2 rotations, impacted the lake, and sank. 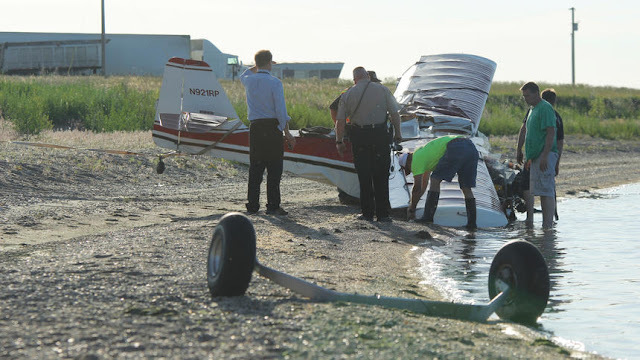 The passenger stated the engine operated normally until the impact with the water. According to local authorities, the passenger was rescued by persons assisting in the boat recovery. Efforts to rescue the pilot were unsuccessful. The pilot held a private pilot certificate with an airplane single-engine land rating. The pilot's most recent third class medical certificate was issued on January 26, 2015, with a limitation for corrective lenses. A review of the pilot's logbook, noted as "Logbook Number 5", revealed that the first logbook entry was dated February 14, 2015, and the last logbook entry was dated June 5, 2016. According to the information contained in the logbook, at the time of the last logbook entry, the pilot had accumulated 1,179.2 total flight hours, of which 28.7 hours were in the accident airplane. The two-seat, high-wing, tail-wheel configured airplane, serial number 1589, was manufactured in 1991. The airplane was powered by a Rotax 582 LC 65-horsepower engine, and was equipped with a composite 3-blade ground-adjustable propeller. The airplane was purchased by the pilot on May 10, 2010. The most recent condition inspection was completed on July 11, 2015, at a total airframe and engine time of 432.6 hours. The hour meter reading observed at the accident site was 442.5 hours. At 0956, the automated weather observing system at the Brookings Regional Airport (BKX), Brookings, South Dakota, located about 30 miles east of the accident site, recorded the following weather conditions: wind calm, sky clear, temperature 17 degrees Celsius, dew point 7 degrees Celsius, and an altimeter setting of 30.04 inches of mercury. 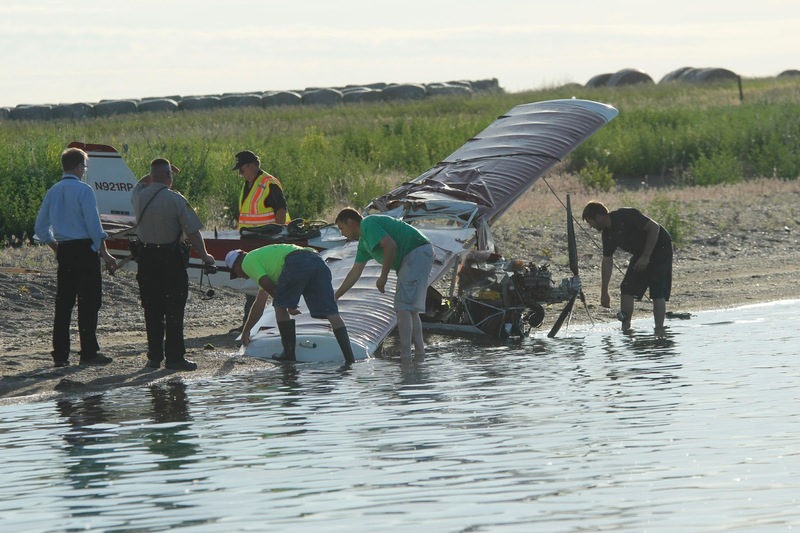 The airplane was recovered from the lake and examined at a facility near Lake Thompson. Examination of the airplane showed that the fuselage was buckled near the aft cabin bulkhead. The forward fuselage was crushed up and aft. The left wing displayed compression bending aft near the wing root, and the forward wing attachment was fractured. The left flaperon remained attached and its control fitting was fractured. The fracture was consistent with impact damage. The right wing remained attached to the fuselage and sustained minor damage. The right flaperon remained attached. The empennage was intact with the rudder and elevator attached and minor damage was noted to the bottom of the rudder. The tailwheel remained attached and both main landing gears were separated from the fuselage. Flight control continuity was established from the cockpit controls to the respective flight control surfaces. The seat restraints were attached to the fuselage and were found unbuckled. The flap handle was observed in the up or retracted position. The throttle was pulled out about 1.5 inches, and the fuel selector was on. The engine remained attached to the engine mount and fuselage. The propeller remained attached to the engine, and the propeller was manually rotated. Manual rotation of the propeller revealed compression and mechanical continuity throughout the engine. Two propeller blades were fractured aft near the blade root. The autopsy of the pilot was performed at the Sanford Health Pathology Clinic, Sioux Falls, South Dakota. The cause of death was asphyxia due to drowning during an airplane accident. Toxicology testing by the FAA Civil Aerospace Medical Institute was negative for all substances tested. The SD card from an iFly 700 Adventure Pilot GPS that was recovered from the airplane was submitted to the NTSB Vehicle Recorder Division for data recovery. The card was undamaged and data was recovered normally. The data extracted included 164 track logs from February 14, 2009, through June 7, 2016. The accident flight was recorded starting at 0929:12 and ending at 1019:51. The GPS data parameters recorded were the following: date, time, latitude, longitude, GPS speed, true course, and GPS altitude. According to the data, the flight departed Y34 at 0929, turned southwest, and climbed to about 2,300 feet GPS altitude. As the airplane approached Lake Thompson, it descended to between 2,000 and 2,100 feet mean sea level (msl); Lake Thompson is at 1,700 feet msl. The airplane began flying a north/south pattern with 3.5 to 4 nautical mile legs. At 1007, the airplane began circling a point towards the western side of the lake. The last recorded data point was at 1019:51 at a GPS altitude of 1,955 feet and a ground speed of 34 knots. Due to data buffering on the GPS unit, the data recording may have ended before the airplane impacted the lake. 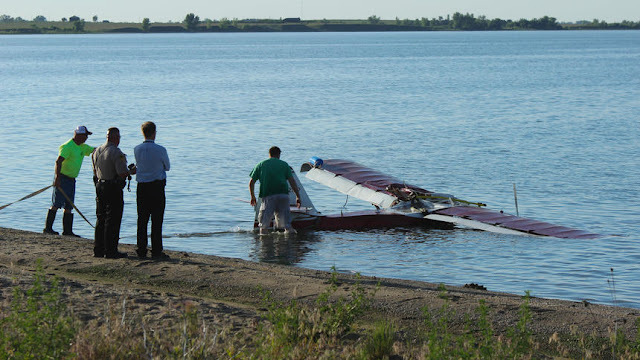 On June 7, 2016, at 1000 central daylight time, a Pruss Kitfox IV single-engine airplane, N921RP, impacted a lake following a loss of control while maneuvering at a low altitude near De Smet, South Dakota. The private pilot sustained fatal injuries, the passenger sustained serious injuries, and the airplane sustained substantial damage. The airplane was registered to and operated by a private individual as a 14 Code of Federal Regulations Part 91 personal flight. Visual meteorological conditions prevailed at the time of the accident, and a flight plan was not filed. The local flight departed a private airstrip about 0930. According to the passenger, who was interviewed by the Federal Aviation Administration inspector, the pilot picked up the passenger at a private airstrip to assist in a search for a boat that sank in Lake Thompson on June 3rd. The pilot and passenger spotted the boat and then flew a right turn "racetrack" pattern about 150 feet above ground level. While maneuvering, the airplane was banked about 45 to 60 degrees at an airspeed about 50 miles per hour. During a turn, the airplane "snapped over" and the pilot stated the airplane stalled. The airplane spun about 1.5 to 2 rotations, impacted the lake, and sank. The passenger stated the engine operated normally until the impact with the water. The airplane was recovered from the lake and examined at a facility near Lake Thompson. Examination of the airplane showed the fuselage was buckled near the aft cabin bulkhead. The forward fuselage was crushed up and aft. The left wing displayed compression bending aft near the wing root, and the forward wing attachment was fractured. At 0956, the Brookings Regional Airport (BKX), Brookings, South Dakota, automated weather observing system, located approximately 30 miles east of the accident site, reported the wind calm, sky clear, temperature 17 degrees Celsius, dew point 7 degrees Celsius, and an altimeter setting of 30.04 inches of mercury. DE SMET — The passenger in a fatal June 2016 plane crash near De Smet said the engine "operated normally" until impact with Lake Thompson, but the pilot told him it stalled mid air. According to the National Transportation Safety Board's (NTSB) final accident report released this week, passenger and Aurora resident Bruce Bortnem told authorities the Kitfox IV airplane's engine had normal functionality when it crashed, with the cause of the crash defined as a loss of control in flight. The crash killed 59-year-old pilot Randall Telkamp, of Brookings, who died from "asphyxia due to drowning" in the submerged plane. The Federal Aviation Administration says loss of control is the top cause of fatal aviation crashes, and occur when a "flight regime that is outside its normal flight envelope and may quickly develop into a stall or spin." Common causes include poor judgement, failure to recognize a stall and execute corrective action, failure to maintain airspeed or use of prescription or illegal drugs. Telkamp tested negative for drug use, according to the final report. 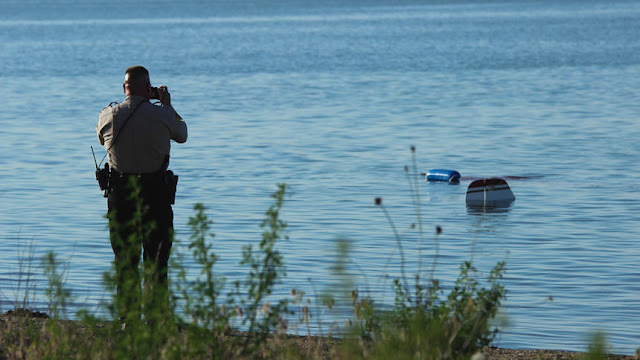 The crash occurred while Telkamp and Bortnem were assisting Douglas Kahler and Jeff Hallin, joined by his 12-year-old step-son, search for a wrecked boat in the 12,455-acre lake. And according to Hallin's statement released this week, the three men narrowly avoided being struck by the crashing aircraft. "Suddenly I heard the planes (sic) RPM go up and looked over my shoulder in time to see the plane nosedive into the water about 150 yards away from us," Hallin wrote. Kahler concurred, stating the aircraft nosed into the water and flipped on its top, submerging instantly. Shortly after the crash, Kahler pulled Bortnem out of the water. "I just started the boat and gunned it towards the wreck was (sic) at the wreck site in under one minute," Kahler wrote. "By the time I was three quarters the way there Bruce popped out of the wreckage and I put Bruce from water immediately." Hallin dove underwater using dive gear to search for the wreckage multiple times, ultimately finding Telkamp "either still strapped in or entangled in debri(s)." Hallin attempted to remove Telkamp, but was unable. The incident drew several law enforcement agencies and first responders to the lake, but the lake remained open to boaters throughout the day. Shortly after the crash, Bortnem was said to be in "fair condition." Aircraft while force landing in a field, struck a pole. Aircraft nose over on runway. The pilot in the helicopter reported that, after 30 minutes of “hover pattern work,” he decided to depart the practice area. He reported that the wind at the time of the accident was from 150° between 5 and 15 knots with 30-knot wind gusts. The pilot exited the practice area. He made a right pedal turn at 25 to 30 ft above ground level to return to the practice area. 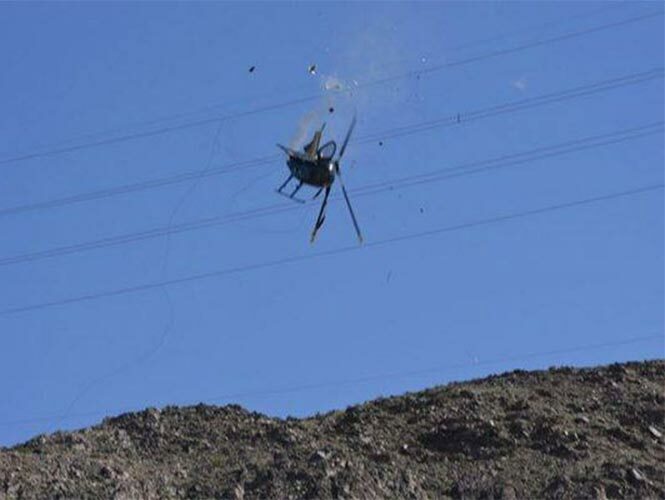 About 120° after beginning the right pedal turn, he felt a high wind gust, and the helicopter began to rotate to the right, “which I could not terminate through the controls.” The helicopter descended, struck the ground, and rolled onto its left side. The helicopter sustained substantial damage to the main rotor drive system and the tail rotor drive system. In this region, the helicopter attempts to weathervane, or weathercock, its nose into the relative wind. Unless a resisting pedal input is made, the helicopter starts a slow, uncommanded turn either to the right or left, depending upon the wind direction. If the pilot allows a right yaw rate to develop and the tail of the helicopter moves into this region, the yaw rate can accelerate rapidly. In order to avoid the onset of LTE in this downwind condition, it is imperative to maintain positive control of the yaw rate and devote full attention to flying the helicopter. Weathercock stability is defined as a region of loss of tail rotor effectiveness (120 degree - 240 degree tailwind) that will weathervane the helicopter, and if not prevented will result in a loss of helicopter control about the horizontal axis. Pilots who put themselves in situations where the combinations above occur should know that they are likely to encounter LTE. The key is to not put the helicopter in a compromising condition but if it does happen being educated enough to recognize the onset of LTE and be prepared to quickly react to it before the helicopter cannot be controlled. (2) As recovery is affected, adjust controls for normal forward flight. The pilot’s failure to recognize that he was operating in the weathercock stability flight regime of loss of tail rotor effectiveness, which resulted in a loss of directional control during the execution of a right pedal turn. The pilot in the helicopter reported that after 30 minutes of "hover pattern work" he decided to depart the practice area. He reported that the wind at the time of the accident was from 150° with 30 kt. wind gusts. The pilot tookoff to the northwest. He made a right pedal turn to return to the practice area. About 120° after beginning the right pedal turn, he felt a high wind gust and the helicopter began to rotate to the right "which I could not terminate through the controls." The helicopter descended and struck the ground and rolled onto its left side. The helicopter sustained substantial damage to the main rotor drive system and the tail rotor drive system. Per the National Transportation Safety Board Pilot Aircraft Accident Report, the pilot reported that he should have allowed the helicopter to fly establish translational lift, increase airspeed and altitude before making a turn. "My initial plan was flawed from the outset, in retrospect." Aircraft on approach, struck a bird. On March 31, 2017, about 1745 coordinated universal time (1445 local time), a Piper PA-42, Brazilian registration PP-EPB, operated by a private individual, was destroyed after it impacted the ground while on approach to Barra Do Garcas Airport (SBBW), Sorocaba, Brazil. The pilot and passenger were fatally injured. This report is for informational purposes and contains only information released by the Government of Brazil. O piloto da aeronave bimotor Piper Aircraft modelo PA-42 e uma mulher morreram em um acidente ocorrido nesta sexta-feira (31), às 14H42, na rua Teresinha Trois Giraldi, no bairro Novo Horizonte, em Sorocaba. Segundo o Corpo de Bombeiros, o voo teria partido de Manaus e, no momento da queda do avião, não houve explosão. O avião caiu perto de residências e a uma distância de aproximadamente 1 quilômetro do aeroporto de Sorocaba, onde passaria por manutenção. Após a queda, pessoas saquearam o interior da aeronave. As identidades das vítimas não foram divulgadas. Foi informado apenas que a passageira tinha 28 anos de idade. De acordo com Wesley Pires da Silva Belo, testemunha do acidente, ele teria percebido o esforço do piloto para desviar das casas. A área foi cercada pela Polícia Militar para o trabalho de perícia e remoção dos corpos. No sistema RAB da Agência Nacional de Aviação Civil (Anac), a matrícula do avião Piper Aircraft modelo PA-42 é PPEPB. Consta que a aeronave pertence à Itapara Sport Fishing LTDA-ME e a sua situação está regularizada pelos órgãos responsáveis. O último acidente aéreo registrado em Sorocaba havia ocorrido em 29 de maio de 2013. Na ocasião, piloto e copiloto morreram com a queda de um avião monomotor no Jardim São Guilherme, em Sorocaba. O acidente ocorreu por volta das 15h40, na ruaBelmiro Moreira Soares, altura do número 1.189. 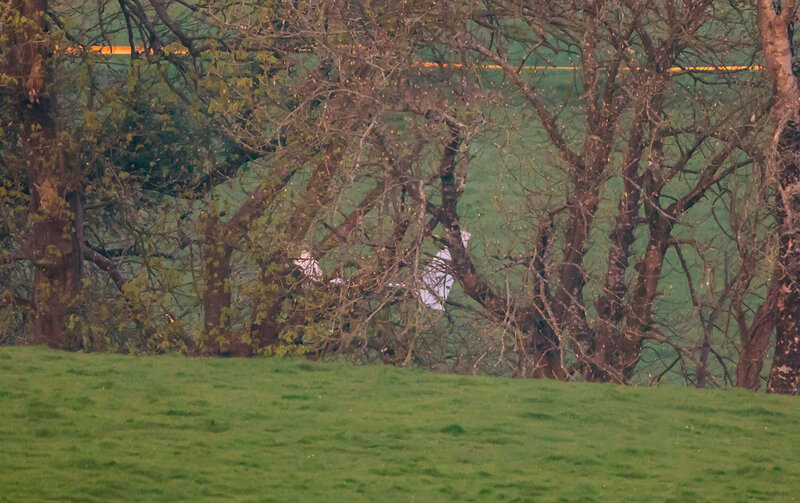 On March 27, 2017, at 1514 coordinated universal time, a Rutan Long-Ez, Irish registration EI-CPI, collided with terrain in Cloncoskoran, Waterford, Ireland, following a loss of engine power. The pilot was fatally injured and the airplane was destroyed. The local flight originated from the Waterford Airport (EIWF), Waterford, Ireland. An investigation has been launched after a man was killed when the light aircraft he was piloting crashed into a field in Co Waterford. It is understood the man, the only occupant of the craft, had left Waterford Airport yesterday afternoon with the intention of flying to Dungarvan and back. The pilot, aged in his early 80s, was named locally as Dave Ryan, a former member of Waterford Aero Club. He issued a mayday call just before 4.30pm and attempted to land his single-seater aircraft in a field but crashed into trees close to the well-known Bridgie Terrie's pub and restaurant. The incident happened near the N25, in the Knocknagranagh area outside Dungarvan, and is not far from the scene of another fatal light aircraft collision which claimed the life of a veteran pilot in 2015. It is understood a Coast Guard helicopter crew picked up Mr Ryan's mayday message while they were flying on a training mission in the region and proceeded directly to the location of the crash. The R117 search and rescue helicopter arrived at the crash site, which is also close to Dungarvan Golf Club, within minutes but it is understood the man was fatally injured and could not be resuscitated by that time. Gardaí said it appeared the man was killed instantly when the aircraft hit the ground. The nearby road was closed to traffic while fire engines, ambulances and gardaí attended the scene and diversions were put in place for several hours. Members of the Air Accident Investigation Unit were deployed from Dublin to the scene and were working at the crash scene last night. "The likelihood is that we will recover the aircraft wreckage over the next day and hopefully we can recover the wreckage back to our facility," AAIU chief investigator Jurgen Whyte said. Mr. Whyte was speaking last night near the scene of the fatal R116 crash at Blacksod Bay in Co Mayo. A woman in Bridgie Terrie's pub said the crash happened "just across the fields from us." 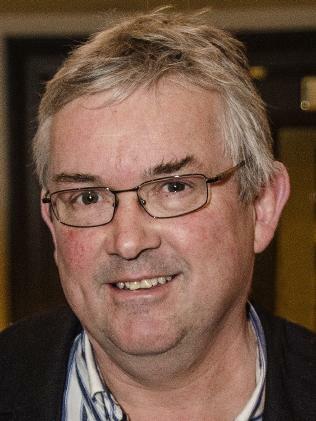 The location is close to the area where well-known and experienced pilot Howard Cox (67) was killed in July 2015 when on his way from Waterford Airport to an air show in Foynes. On March 20, 2017, an ATR42, powered by a pair of Pratt & Whitney Canada PW100/105 turboprops engines and Hamilton Standard propellers, departure the runway after landing at the Coari Municipality, State of Amazonas, Brazil Airport (SBUY). The Brazil CENIPA is investigating the event and the NTSB is participating as the State of Manufacturer of the propellers in the Brazilian Annex 13 investigation. On March 15, 2017, about 2100 universal coordinated time (UTC), a Bell 206 helicopter, F-GPPH, impacted terrain near Figeac, France. 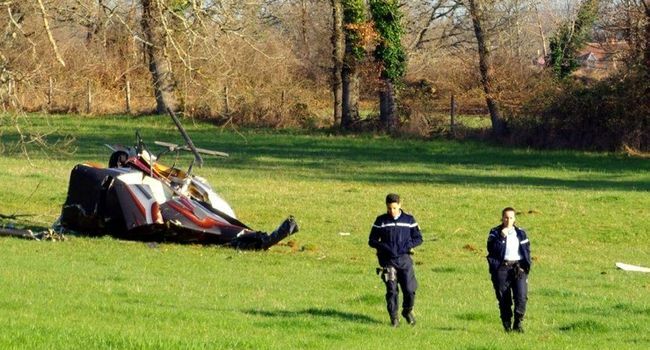 The pilot was fatally injured and the helicopter was destroyed. The flight originated from Poiters Biard (LFBI), France, and was en route to Mouret, France. The Australian Transport Safety Bureau (ATSB) has notified the NTSB of an incident involving a Saab 340B which occurred on March 17, 2017. The NTSB has appointed a U.S. Accredited Representative to assist the ATSB investigation under the provisions of ICAO Annex 13 as the State of design and manufacture of the airplane engines. On March 13, 2017, about 1600 hours pacific daylight time, a MD Helicopters model 369FF single-engine helicopter, serial number 0079FF, Mexican registration XC-PEP, collided with high-voltage power lines while maneuvering near Mexicali, Mexico. The pilot and 4 passengers were fatally injured. The local flight departed General Rodolfo Sánchez Taboada International Airport (MMML), near Mexicali, Mexico.